My best friend and I have always written. We've known each other and have shared our stories for over thirty years. We have lived on opposite sides of the country for almost two thirds of that time, and of course become different people than we were as kids. We've had different lives, but writing has always been the constant. She asked me, a while ago if she could use a character of mine in a new story she was writing. She would change his name, and the setting, of course, but she wanted to know if it was alright with me if he made an appearance. I didn't know what to say. I was more than happy to let her have him. I wasn't doing anything with him, that was for sure. When she began to talk about what role he would play in this new story of hers, I was hit with a wave of uncertainty, as though I was falling back into who I was all those years ago. I was jealous of her new idea, of the writer she was. I felt awful. She had improved her writing so much since then, why was I still struggling with every word? I wanted to protect what was mine, but I also wanted to let him go. I wanted to see what she did with him. Of the two of us, I had more faith in her than I did in me, to complete the story. So I gave up my seventeen year old self who felt inferior, and angry about being inferior. That was the first thing, and it wasn't easy. Then I decided to try to be as much help as I could. Not only because she is my best friend, but because I knew I would learn things along the way. She did finish the book, and my character, who is a relatively minor one, is also one of the heroes. He comes across as a guy who is just doing the best he can while trying to stay as deceit as he can. He's perfect, but he's also not mine anymore. He's one facet of my character, as seen through her eyes, so reading him was so much more fun than I ever expected. There was another unexpected bonus. She got me thinking about those stories we wrote back then. I decided it might be time for me to start telling my version. I could write that character from the present, with all the things I've learned since we were kids added in. I haven't stayed in the same place, I've moved forward, I've just moved differently. I wanted a story that reflected that, even if only to myself. The result is the novel I'm working on now, called “The Night Was Not.” It's a neo-Victorian story. This incarnation of the character is called Kerry Hazard. He flies an airship, and is called back to the city of his childhood by an ominous message from a friend. It's a very different story from my friend's novel, which is a space opera (yay! ), but the character came from the same place. He was born in the back of a notebook, scribbled in while lying on either of our bedroom floors in the middle of the night. It's where he would have stayed if she hadn't picked him up again. 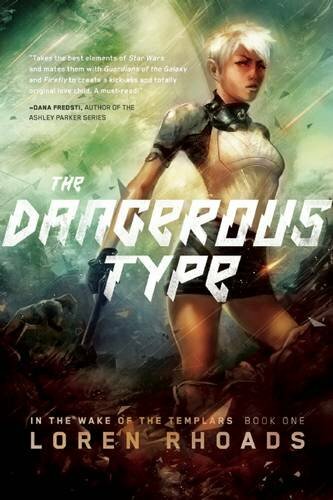 The Dangerous Type, by Loren Rhoads is out today!!! Set in the wake of a galaxy-wide war and the destruction of a human empire, The Dangerous Type follows the awakening of one of the galaxy's most dangerous assassins and her quest for vengeance. Entombed for twenty years, Raena has been found and released. Thallian has been on the lam for the last fifteen years. He's a wanted war criminal whose entire family has been hunted down and murdered for their role in the galaxy-wide genocide of the Templars. His name is the first on Raena's list, as he's the one that enslaved her, made her his assassin, and ultimately put her in a tomb. But Thallian is willing to risk everything--including his army of cloned sons--to capture her. Now it's a race to see who kills whom first. Alternatively, Gavin has spent the last twenty years trying to forget about Raena, whom he once saved and then lost to Thallian. Raena's adopted sister, Ariel, has been running from the truth -- the one about Raena, about herself and Gavin -- and doesn't know if she'll be able to face either of them. The Dangerous Type is a mix of military science fiction and an adventurous space opera that grabs you from the first pages and doesn't let go. Along with a supporting cast of smugglers, black market doctors, and other ne'er-do-wells sprawled across a galaxy brimming with alien life, The Dangerous Type is a fantastic beginning to Loren Rhoads's epic trilogy. I've told you about this book before, remember? It came out today, and the copies I had in my bookstore flew off the shelves, but don't worry, I'll be getting more of them. 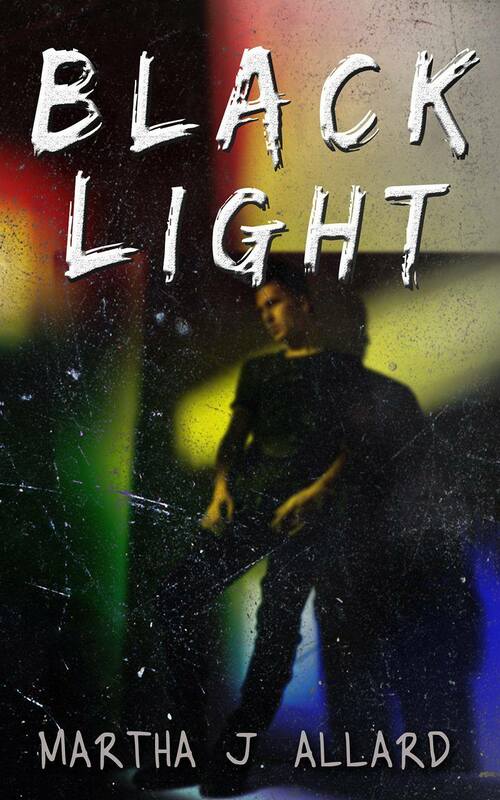 Also it's available from bn.com and amazon, for both nook and kindle. The Dangerous Type is everything the blurb says and more. I loved this book, and you will too. AND the best part is that there are more to come! I can't wait for number two! I'm not kidding you should read this book. And then leave a review. And my friend Loren Rhoads is having a goodreads give-a-way for the book she wrote with Brian Thomas, As Above, So Below. You should enter to win here : https://www.goodreads.com/giveaway/show/123716-as-above-so-below And then you know, if you win, read it and leave a review. Maybe you're sensing a common theme here. The "leave a review" part? yeah. Stephen King once said something like, the writer and the reader are in partnership. One doesn't exist without the other. I'm paraphrasing, but I believe it's true. When you write a story, a novel, a poem, it's not meant to sit on your desk, or in a drawer. It needs a reader. Or, to be honest, it needs a bunch of readers. I write so that I can find out what happens in the end. I hope that people read my stories for the same reason, to find out what happens in the end. To be relieved, or heartbroken at how it plays out. The truth is that putting books out online, whether electronically or as traditional books, is a word-of-mouth game of selling. Kindle rates books on their reader reviews and that can make or break an indie author. So if you enjoy an author, and leave a review, it does two things. One: it puts another of their books into your hands(kindle ranking and all that). Two: you tell that author that it's working, that yes, the novel you sweated over worked for me. It touched me and I identified with it. Believe me, to a writer, sitting in some cafe somewhere alone with their computer, that's huge. I'm a little late with the "Last Year In Writing" post, aren't I? Well, actually, this might be my first one. Last year was..... Complicated. It wasn't all bad. I got to go to Gilchrist twice. That was great. My nephew graduated from High School without giving his mother or me a fatal heart attack. That was fantastic. My Dad is still hanging on with us, and I'm grateful for that. 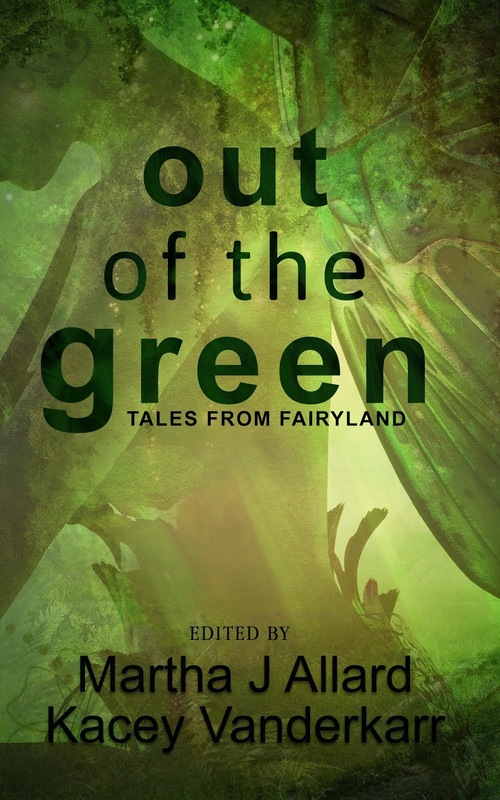 Also, we published Out Of the Green (available on bn.com and Amazon.com), and I'm fond of the stories in it. I had a great time writing mine. I wrote two other short stories that have yet to find a home. One's a post-apocalyptic lesbian djin story. Yeah, okay, that one might be hard to find a market for.... And the other... Well the other is an Asia story. I haven't decided what to do with that one yet. I know I promised to have a book out by late fall last year, didn't I? Well, it's a little late too, (cover issues plus just plain too much life-intrusion) but don't forget about it! It's still coming. The first two weeks of the new year, though, are for the novel I'm working on right now. I'm working that subplot. So, while life isn't perfect (I work in a hell hole, still, and home is really prickly at the moment), I'm working on it. I wish I could be the kind of writer that had big lovely announcements at year's end, but for me, this works for right now.